The 203-foot tower of Masthuggs Church pierces the skyline of Gothenburg, the second-largest city in Sweden. 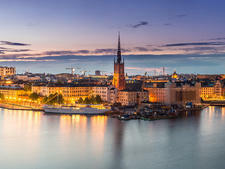 Situated on the country's west coast, about halfway between Copenhagen and Oslo, this city of 543,000 is becoming a go-to destination on sailings in the Baltic Sea. In 2002, just five vessels carrying 2,400 travelers stopped there; now more than 100,000 cruise passengers on more than 50 ships disembark at this cosmopolitan university town. 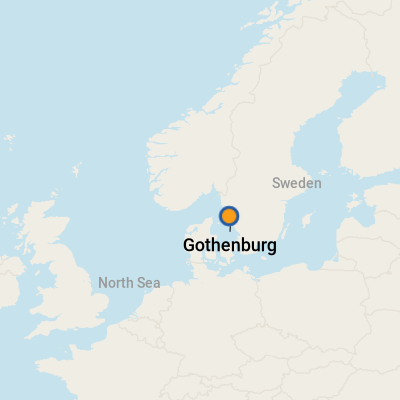 The city is Goteborg in Swedish, pronounced "yur-te-borry." It might not be the port that inspired your dream trip to the Baltic, but it will likely be a pleasant surprise, and it's an easy place to wander on your own. If you dock at Quay Skandia, where the largest ships go, your first reaction is likely to be "Ugh." It's an unattractive industrial zone of oil drums and container ships. 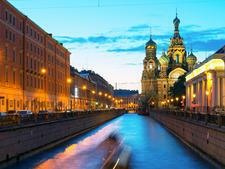 But a 25-minute shuttle ride, offered gratis by many cruise lines, gets you into the attractive city center. 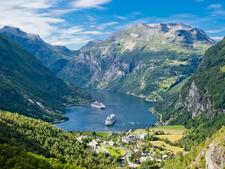 Other local cruise ports include Freeport, just five minutes from the heart of town, and Arendal, about a 20-minute ride into the city. Tip: There's no reason to be the first one off the ship if you're exploring on your own, since the city doesn't really get going until 10 a.m.
Once you've arrived into downtown Gothenburg, there's a variety ways to get around: the hop-on, hop-off bus (currently 195 Swedish krona or about $25USD), traditional open-top paddan canal boats ($165 SEK or $20USD) and an old-fashioned trolley ($110 SEK or $15 USD). But there's no need to spring for any of those in compact Gothenburg, since it's easily covered on foot. Armed with a tourist map -- we like the color-coded one called "The Best of Gotheburg in One Day" -- use the green swath of Tradgardsforeningen (park) as a visual reference point, and explore neighborhoods like the Haga and Aveny districts and the Inner City. The Swedish krona is the unit of currency. For up-to-the-minute rates, check www.xe.com or www.oanda.com. Denominations of paper krona are 20, 50, 100 and 500. Amounts below 20 krona are settled with coins. Swedish is spoken in Gothenburg, but most people in the tourism industry speak English.